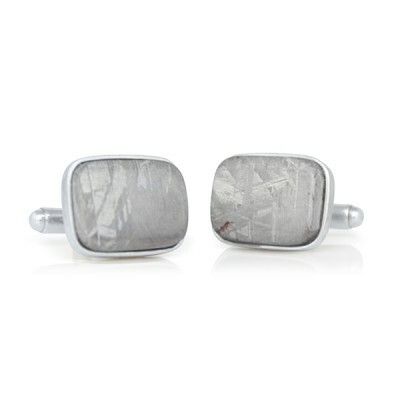 These handmade sterling silver meteorite cufflinks are out of this world! The weighty gem slices in these cufflinks are made from an iron-rich meteorite that fell in present-day Namibia in pre-historic times. The deposit was discovered by the Nama People near the town of Gibeon, and is known today in the west by the name Gibeon Meteorite.